In this week’s episode we continue along our Content Marketing theme and drill down on the SEO aspect, specifically how the search engine optimisation practice of ‘link building’ is transitioning into ‘link earning. My guest this week is Woj Kwasi from Kwasi Studios. Woj had the great suggestion of getting out of the office and recording this interview out at Morialta Falls in the Giant’s Cave which was a stunning location (see pics below). How do you know what kind of content people are likely to link to? Once you’ve created a piece of content, how do you actually get the links? What does the future of ‘link building’ and other authority signals look like? What are some steps business owners can take right away to start earning links? Nick: Welcome back to Episode 19 of the Web Marketing Adelaide Podcast. As always you can find out more about all of the shows we have done in the past on our website www.webmarketingadelaide.com.au. This week’s show is going to be in the same vein as all of our previous episodes. So we were talking about content marketing in the past and this episode also deals with content marketing, but more specifically as it relates to SEO, and the ideas around creating links. Now, if you’ve listened to our previous episodes related to SEO, you’d know that creating links or link building is important, as this is a signal or a key signal that Google uses to actually determine which are the best websites, which are the websites that should rank high in the search engines that look at the number and the quality of incoming links. 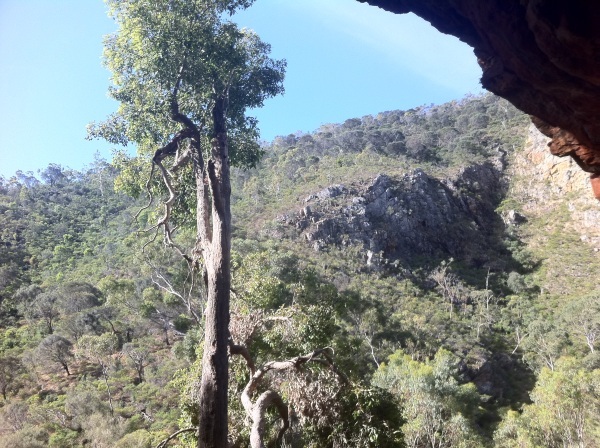 This week’s episode was recorded in Morialta Falls, in the Adelaide Foot Hills, in the Giant’s Cave, a suggestion by my guest for the week. I have to say, it certainly beats being in the office or being in a coffee shop. Brilliant view of the valley and a nice sound of wild life in the background, so you can hear those. My guest this week is Woj Kwasi from Kwasi Studios and as I said, the topic relates around link earning. Now, Rand Fishkin from SEO Moz describes the death of link building and the re-birth of link earning. So, he’s talking about the transition from the old way of doing things. When you think of building links, you think of going out and getting links to the new way of doing things, where you create content that’s good and that earns links on its own. So, the real idea is creating that good content links. Woj Kwasi, my guest, he’s had over 14 years in the RT industry and after bouncing back and forth between Adelaide and Sydney, decided to launch his business, Kwasi Studios in July 2011. Now, he tells me that the first year was pretty difficult, he was working 12 hour days, 8 days a week, although there was a silver lining because he was working from home and he didn’t have to wear pants but after getting married earlier this year, he set himself the goal of doubling his business over the following 12 months, but ended up doing it in 1 month. He’s since opened an office in Modbury, hired 3 employees dubbed the K-Team and he was featured recently in the advertisers’ business section. So, before I launch into the interview, I just want to say congratulations to Woj on his recent success with growing his business, getting married and opening his office. So, it’s really good to hear with Adelaide business being successful. We’re going to sort of launch into the interview where Woj is going to be telling us how business owners should know what type of content is going to start earning them links, so how do they get into that. Let’s go to the interview now. Woj: There’s a number of different ways to sort of ascertain that. You can run some experiments, look at the industry trends. Sometimes you can use your gut, instincts I guess, based on past experiences but I think it really depends on your audience and really depends on what you’re targeting. So, really if the content‘s right, it should sort of earn the links naturally, providing useful resources, just providing sort of, you have to get imaginative with the content as well. People tend to get stuck in this loop where web pages need to be text and a photo, and maybe a video but you can actually be quite creative these days and provide something quite small, even something that is a process in your own business. You can make that into a tool. It makes your life easier, then why not share that to the rest of the world. They will link to it, they will use it, they’ll be happy for it, they’ll talk to their people about it, and sort of be shared. So, there’s lots of different ways of producing content. I’m pretty sure that’s not what you’re asking. Nick: No, I was just, how do people sort of know what good content to create? I think you hit a note pretty well, something that business owners often miss out or they don’t really see because they’re so familiar with how their business works. They feel like it’s boring, it’s not particularly interesting, their processes, but they might not realize that from an outside perspective how that particular process for doing something like creating a tool that does something useful or maybe some video or some stuff from within the company that can be interesting content which can be relatively easy to create and also difficult for competitors to copy because it’s sort of your process. Woj: Exactly and also, don’t talk about yourself, don’t self-promote. If you are going to talk about yourself, do it in a transparent way. Talk about things that are happening in your business rather than, don’t chest beat and I think you get a lot of success out of that. Nick: So, the focus being providing value as opposed to advertising. really. Woj: Yeah exactly because people are getting more savvy. People don’t have that custom preference anymore, like they used to. People aren’t loyal to brands. Things get commoditized over time, so it’s really important to stand out and be memorable at that first point of contact. So, I think you can produce stuff from within your company that can sort of reflect that. Nick: Yep. Absolutely. You mentioned creativity and again, I’ll put some links in the show notes. You’ve got quite a few creative things on your website with your robot-sort-of logo and your characters and stuff you’ve done within your posts. Woj: We’re trying to practice what we preach. We’re doing things for our clients, but we’re doing things for ourselves as well. We’re being transparent. It’s a little bit strange, but it’s actually quite worthwhile and it’s interesting because I have some clients that are quite dubious about being transparent, because there is a lot of fear about online world. You have some clients are quite paranoid about identity theft and that sort of thing but you don’t have to be transparent in that kind of way, I mean you can be transparent by just taking photos of your backyard pretty much, figuratively speaking. Nick: Yeah, it’s sort of almost being real, being a person or letting people know that there are people in your business. It’s often talked about as the corporate face or the corporate wall that is sort of faceless company that people can’t really relate to and that is what you don’t want to be. You want to be sort of real and you want to be sort of friendly and being that, having that transparency is a way for people to sort of feel you out and form a relationship with you almost and feel much better and easier about becoming a customer of you. So, once people sort of have this content idea, they’ve thought about some stuff in their business or they’ve come up with a great article, a great resource or a great tool, they’ve created it, they’ve got it on their website, how do they get it out there? How do they try to get links, how do they get people to see it? Woj: So, I guess that’s an important part of the content strategy. So, if we talk about content strategy for a bit, it’s important to get that right, because you really need to plan. You can’t sort of expect a bit of content to work well on itself, it’s like firing fireworks, if people’s watching it at the time, then they will see it but if they’re not looking, they’ll miss it. So, it’s like Twitter, I think there’s like an hour gap for a tweet or something like that. I think there was a study or an article on SEO was from Tweet Deck, not Tweet Deck, Follow gram they did something recently. You don’t really have much of a chance or if you haven’t planned, so there’s a lot of different distribution channels, you know, social media. Newsletters, newsletters are a really good one because they’re quite direct and it’s sent to an already established audience, but I think building an audience is probably the key. So, doing things like guest posting, but not guest posting in a gung-ho kind of way, putting yourself in front of an audience that’s already established. Nick: So, guest posting, just a little bit of stop there, that’s where you write a blog post on someone else’s blog, and this could be like an industry blog or industry magazine, an online magazine or some of other related industry which we share similar sort of custom. Woj: Yeah, exactly. It’s a bit hard because there’s not too many really good Australian ones out there or there are but they’re really hard to get onto but if you search hard enough, there’s ways to sort of get in there. You just have to be creative about things and you have to think outside the box. Nothing is easy. Woj: Yeah exactly. There’s no kind of, this is how you get people to link to your stuff, because it depends on your audience but if you create that content strategy, plan things and then maybe even target some different personas, work out with frequent, maybe forums, maybe there’s some niche kind of sites, blogs, maybe influences as well. Get involved with some influences, let them do the work for you. Nick: So, I think what you’re saying here, it seems like you’re saying, as opposed to creating the content and trying to promote it, more focus on building an audience first, maybe figuring out what kind of content they might like, then creating it and then sort of telling them about it. Nick: And you mentioned influences there again, which is, sort of people within the market place who have a lot of influence. Woj: Exactly, people that already have an established audience. If they’ve already got an established audience, then you already have a leverage of them. I think Tom Crutchlow did a talk, his final talk on SCM was sort of talking about that sort of thing. I can’t remember the guy, he mentioned but he used an example of this guy. He had a big audience following of people and they leverage, they got a guest post in front of all these people and it was very targeted and it was quite successful. Woj: I guess it depends on the context of the article, but yeah, they can. It has to be relevant to the audience. If you’re a local pizza shop, you wouldn’t put an article up on menu log or something and target, talk about the best pizza in Bondi or something like that. You would want to make it local. Nick: Yep, so you want to be targeting the local audience and probably something else to sort of, the thing about it is not necessarily the largeness of your business, the numbers, it’s really more of the quality. So, if you can have a small audience which is highly targeted, then that’s completely going to be better than the large audience that aren’t really sort of your customer. Nick: Alright. We’ve touched on this question a little bit, but it’s basically with the popularity of social media, it seems like people these days, don’t sort of link so much. They’re more tweeting and sharing on Facebook and sharing on Google Plus. Is this a problem for people wanting to build links? Woj: Nah, it’s great. I think Google uses social metrics as part of the algorithm as well. I mean it’s a good way to, I mean people are a bit up in the air, some people say yes and some people say no, but I mean, it makes sense. If someone tweets something, then Google can crawl that tweet or even using Google Plus. It knows that it’s being shared and the way they’ve set up Google Plus, where everything is verified and, it’s reasonably hard to set up a fake Google Plus profile. So, I don’t think, I think social adds to link building, you should be out of, like once it comes to putting in front of our audience, then you could tweet the link and it could go quite viral but if you put up a guest post on, let’s go back to the pizza shop example, on pizzaloversgreat.com and there’s no one like reading that article, who’s going to tweet it? Who’s going to, and Google will see that signal and go, this isn’t great. Nick: Exactly. So, really, people should be thinking about social signals certainly on the positive light as well as links. Woj: They go hand in hand, because both are great deliverers of inbound traffic. Nick: Absolutely. So, finishing off this episode, lets finish off with, what are some steps that my listeners can take, to sort of start getting into this link earning thing? Woj: I guess it depends. If they’re business owners, then they need to start thinking about things differently. If you are already engaged in an SEO agency, stop quantifying your monthly spend by the amount of links acquired, start thinking about planning and aligning all your resources, whether it be your internal staff, external agencies or to a content strategy. Everyone needs to be on the same page, you need to come up with a core idea and then basically work out a little bit of the work flow, who’s in charge, a core strategy statement that will enable people to be on the same page and also, start thinking about not just SEO but other channels, other free channels. We’re working on a guide at the moment called Inbound Marketing Town, which should be a little map. It will have little, we’ll try to explain I guess the different methods of inbound marketing as little town landmarks, so hopefully that should help. Nick: Great, yeah. When is that expected to come out? Woj: We’re working on the graphics at the moment, so, hopefully in the next week or so. Nick: Great, this episode should be out after that, so I’ll try and put a link in the show notes for that and people can go check it out and just to go back summarizing some of the points we mentioned during the interview. So, audience is something that people should really be thinking about and thinking about early. Trying to pull that audience early and so identify some influences within the market place, and from there we flow into a strategy, mentioned strategy several times, so make sure you have a strategy in mind before you sort of go in there and start just creating content willy nilly. Woj: Exactly and just make great stuff, be imaginative. Try to get creative, and if you can’t get creative, outsource. Nick: Outsource, to a friend or person. Nick: Great. Well I think that brings us to the end of this episode. We’re going to come back with Woj next episode and talk about some specific examples of link earning. So, certainly tune in for that episode to get your head around this topic a little bit further, but thanks very much for joining us this week and if anyone wants to find out more about you, that’s kwasistudios.com. How’s that spelled? Woj: K w as i studios.com and you can follow me on Twitter at wojkwasi w o j k w a s i.
Nick: I hope you found that interview useful. You can tune in next week for the second part of my interview with Woj. We’re going to be talking a bit about some examples of link earning campaigns, some pieces of content with links to sort of give you a little bit more of an idea of how the system works and sorts of content that can earn links. As always, if you want to find any more information about this show, get links and any of the stuff we’ve talked about, links to Woj’s website and his details, head to our website, that’s www.webmarketingadelaide.com.au and there’s show notes for each episode. So, you can go to our index on the menu bar on the top, there’s an index link or you can just go back through the episodes one by one. You can actually listen to the episodes right in the webpage there or you can hit the links off to iTunes or to download the Podcast onto your computer and listen to them later. As I said, tune in next week for next week’s episode and until then , have a good one. This week is part 2 of my interview with Steve Davis from Baker Marketing about content marketing for small businesses. In part 1 we had an introductory discussion about content marketing and in this episode we move onto some tips for getting started on your content marketing activities and strategy. What are some ways to brainstorm and generate some unique content ideas? How often should we be creating content? How do we get people to come and consume our content? Do you recommend any tools or services to help get content out to a wider audience? How do we encourage our content consumers to become our customers? Nick: Welcome back to Web Marketing Adelaide Podcast. This week, we’re talking about Content Marketing again. We have Part 2 of my chat with Steve Davis from Baker Marketing. In Part 1, we addressed the Introduction to Content Marketing. In this episode, we’re going to delve into how to get started with your content marketing strategy. Let’s hear the interview now. I’m back here talking with Steve Davis from Baker Marketing about Content Marketing For Small Businesses. In Part 1, we covered a bit of the Introduction to Content Marketing, what it’s all about, and in Part 2 we’re going to be looking into how to do it and what businesses can sort of start getting into it. Welcome back to the show Steve. Nick: Let’s start off with what are some typical pieces of content or content marketing that many sort of, small business owners might have seen around the place that they may be doing, just to sort of get an idea of what some things are out there. Steve: Ifyou’ve known me for more than 10 seconds, you would know that I’m going to start with the blog. I believe blog articles, are almost like the DNA. They’re the foundation building blocks for content marketing for just about every business type and the reason being, is this sort of content is very, very versatile. First of all, once we’ve sat down and worked out, as we talked about in Part 1, Thinking Through a Marketing Strategy, what are the challenges faced in the business, how do we try and draw more people into or world, what sort of people are we after. Once we’ve got that sorted out, then we can start thinking about the questions that are going to be floating around in those people’s minds on their journey towards your product or service and blog articles are a great way to lay the bait out there, if you like, and we’re talking online particularly here, Google, the search engines, seem to have a love affair with blog content. Typically, blog articles are short and to the point and they’re focused on a particular topic and they’re updated regularly, all the things that search engines like. So when I go looking for something which might be how to choose a good sunscreen for my 4 year old, it’s beholden, I think, on anyone, in the cosmetics game or is making those sort of pharmaceutical products, like the sunscreen for instance, have anticipated some of those questions and has got a blog post with a title as specific as that or close to it, as they’re anticipating all the different questions that Moms and Dads might be plugging in, and indeed Childcare Managers etc. might be plugging in to do a little research before they make decisions on what sunscreen for example that they’re going to be buying. So, blog content is great there. It’s easy to produce once you’ve got some training in just what the basic elements are. The search engines love it and also I think, that if a schedule is going to be stuck to of producing it regularly, it’s to me, the most potent bit of professional development anyone could ask for because someone in that business or a small team is going to be giving themselves permission, and also exercising discipline to sit down once a week, or once a fortnight, whatever it might be, to write something that actually brings the world of their prospect together to their world, in a way that helps Google, the great matchmaker in the sky, bring them together. I don’t know that you can actually buy that sort of professional development. It almost has to be done in-house, from meditating on the marketing plan and meditating deeply on the ideal person you’re trying to court through your marketing. That was a long answer. Nick: No that’s good. That’s good stuff. I’m glad to hear that you’re an evangelist for blogs because I’m also in that camp as well. I love the blog medium and the good news for business owners of course is that it’s so easy to get into blogging with systems like WordPress out there which is for free. You probably may need some help to set it up the first time but after that it’s fairly easy, fairly intuitive to get in there and just start using it. Steve: One other thing on top of that, and yes, my heart just skipped a beat when you mentioned WordPress. I have a strong love affair for that. In fact my default position if anyone is looking to build a website these days is if it’s in WordPress, unless you’ve got a really good reason otherwise, I think she’s seeing some figures of the top million websites on the planet and 68% of them are in WordPress. I would have, that is a staggering figure. It broadens out to about 1 in 5 when you take the whole internet, but in the top million websites, that is a big chunk. Anyway, I digressed – there was something you mentioned there I was going to react to, about WordPress being, oh yes, the other thing about blog articles in they’re easy to share because most WordPress and other blogging software and content management system software does make it easy, if I like an article, to flick it on to someone I know, through my Facebook friends, through my Twitter friends. And in fact, I heard an article, sorry I read an article, must be about 3 or 4 weeks ago now, with one of the top marketers with Coca-Cola who was saying that the absolute key to success in marketing online these days is to make everything you do shareable and to me, I read 2 things from that. Shareable is I’ve got to like it. It’s got to be interesting in the first place otherwise, it’s not going to be shareable and secondly in some way, in some sort of format that can be flicked on through my network. You might recall in our first interview, we talked about advertising versus content marketing. The thing about shareable content, is if I share it, my friends are going to be more open to your piece of content that I’m sharing than if you’re paying money to advertise it at them, because it’s coming through a trusted source to them someone like them, well fairly much like them and so there’s a lot more trust when a friend passes something on than an advertiser because advertisers obviously are going to give you the Walt Disney version of their business, but if I like something, then my personal integrity is on the line with my friends if I bother them in passing it on. Nick: Definitely, definitely, and just a note on WordPress. We mentioned Word Press a couple of times, and my listeners will remember we had an episode about WordPress a few weeks ago. So, if you want a bit more information about WordPress, you can go and check that out. Now that sort of people know that blogs are a good place to start, how are, what are the type of ways that the business owners can brainstorm ideas for this content element in writing? Steve: There are so many different ways to do this. If you’ve got a website that’s been going for a while, one of the most obvious things is to look at your analytics. I imagine Google analytics or whatever and have a look deep into the search terms that brought people to your website because apart from just your business name, which is likely to be there towards the top, you’re going to find questions and phrases people have been typing into and to me, that is the signal that this is the sort of content that people are looking for. So that’s one place to start. There’s another search engine and I’m hoping the name will come back to me in a moment – even though I work in this field all the time, I’m not a great, I’m not given to all the latest hip names on everything, and they go in one area or the other but I’ll follow up for the show notes. There’s a search engine that allows you to say, throw in some URLs, some web addresses, let’s say 10 or so of your closest competitors, and it actually goes through them one by one and it looks for where and how often each page of piece of content of their website has been shared in social media or social networks. To me, that’s fascinating, because you’re going to get a good sense instantly in your sector of what sort of articles are resonating with people out there. You’ll say, wow this has gone crazy on Twitter or there’s a lot of activity, we can produce something like that. So, that gives you an idea on what the market’s after. Another thing that I find – are you going to me ask me something there? Nick: I was just going to say that I’ve heard of that search engine also and we’ll definitely have a link in the show notes once we figure out which one it is. Steve: It will come to me midway through, another coffee and it will be right. The other thing that I like using, another Google tool actually is, to sit down with the Google Key Word tool at googlekeywordtool.com and punch in some of the key words related to a business and generate a list of all the related terms that Google think are related to your field because, in there, if you sat down with that, and you went word or phrase by phrase and drafted titles for blog posts for example, using these terms, such as, what could be an example, making coffee. Let’s say the coffee realm, so if I looked in for making coffee, then I’m sure Google will bring up how to make coffee, how to make coffee at home, how to make coffee in the office etc. To me, this is a great insight because you know there’s traffic related to these terms and you can mold them into your world by turning them into article titles because if we know what sort of things our audience is interested in looking for, what we’re after, are idea starters, to try and get ideas out of our head. And one of the ways is that list of articles, about a hundred or so words that Google will give you. If you sat down – I often do this with clients with a bottle of wine involved, takes about an hour and stop each of those words one by one, does this apply to our business or not? Yes or no. If it does, how can we turn it into a title? We’d make a big list of potential article titles, with maybe a bullet point underneath of what we’d write about in that article and once we’ve done that brainstorming and we’ve got say 52 article titles on that list, that’s a years’ worth of potential articles waiting to be written. To me, I know this because I’ve seen it happen with the thousands of clients I’ve worked with, it breaks the back of the task, because when it comes to blog day with might be Tuesday or Wednesday or Saturday or whatever, even in the busiest, most stressful week, if you’ve got that starter title, you can still churn something out that’s useful and helpful but in the middle of a stressful week, if I just said, write a blog quick Nick, hurry up, our brains tend to freeze, because they like having their focus. So, there are the starting points of the kernel of content. Nick: Great points. I’ll just mention a few tips that I’ve heard mentioned in the stuff that I use as well with content generation ideas. One, you mentioned Google analytics ad one tip I’ve heard sort of described is where you look at particularly questions that we’ve sort of talked about a little bit but also other terms where someone’s come to your website but then they’ve left really quickly. If you look at that and see that this is actually relevant to you, if it’s not relevant then you can sort of ignore it, but if it is relevant, they’ve come in and then they’ve left, you know you’re at least ranking somewhere there, assuming such query but you know they weren’t really satisfied with what you had. So, that’s sort of a good, ID for a piece of content where it might be pretty to rank well and go because you already ranked somewhat well for that term and that may be a place to start when you just don’t know where to start. And one other was a search engine or a tool called ubersuggest, where it actually takes, taps into Google’s auto suggest feature, so, when you’re in Google, when typing in your query, it often come up with a little drop-down with suggestions of what your query might be. This tool, it would suggest, taps into that and gives you a list of suggestions based on a starting query and I’ll have those links again in the show notes for some extra information. Steve: Look, it’s hard to prescribe generally without sitting down with someone, but I think it’s a good rule of thumb, just the way, from my understanding the way the human brain works. You can get a bit of a habit and a ritual going if you’re sticking to something weekly. It also feeds the search engines nicely, so when those spiders come visiting your website, they see there’s a good regular trickle of new content and also, once week within a nice, an original piece of content, builds up a great library for you before too long that becomes quite handy in a way, I often refer to it as the doctor’s bag. Because I’ve got little children 4 and 2, and every now and then you’ve got to call the locum at 2 in the morning and what always staggered me is, inside the doctors’ bag, there’s always something that fixes the problem. I don’t know how it works or how they do it, for all I know it’s a placebo, but your blog becomes a doctors bag before too long, and you’re shopping on the weekend or you bump into someone at the café, and they are like, Oh you’re that marketing guy, whatever, you get involved in conversation. Yeah, I’ve been meaning to ask you about XY Zero, you will suggest for example, oh yeah. It’s not conducive to a big conversation, but they’re interested in more. You say, look, I’ve written an article, I reckon was a few months ago on that, can I send you the link? And at that point they can give you their business card, if they don’t have one, you can jot down their email address, jot down what you’re going to send them, and you’ve got this lovely, warm connection with them that’s just about to happen, where they’ll click the link, read the article and at that point in time, they’re reading that on your website because hopefully, that’s where you’re blogging. If they like what they see there, they know how to contact you. I think it’s a win win and so, I rarely go a week without prescribing from my doctor’s bag at least three times. In fact, it’s never been less than that. It’s amazing, once you’ve got a body of work, how often you’re doling out these prescriptions of things to read. Nick: Right, so, if you are sort of really enthusiastic and want to get on top of it more than once a week then you think that’s – is there any limit as to how many, I mean obviously, is once a day too much or…? Steve: You know, I think it’s all going to depend, sector by sector. There are going to be some sectors, particularly those if retailers and fashion or where there’s a lot of fast moving things and trends going on that I know, certain market segments are hungry for lots of content. They don’t want to miss anything and that would be fine, however, there are going to be some, where that would just be overkill. Mind you, I don’t want to make the mistake that some people make that, Oh I’m going to blog and I’m going to be bamboozling everyone, well not necessarily. People can still choose, and one thing I’m careful to say to people is, you’re not writing a serial novel necessarily that someone’s going to be chiming in for week in week out or day in and day out. Often, each article you write is a discreet piece of content, a distinct piece that’s going to float out there in the big Google sea, to attract a certain user with a certain question. It’s case by case, I think on that front. If you can do it and sustain it, that’s great generally but because of the small business where people are stretched for time, I think weekly is fine, it’s the right balance for most people and through the week of course, you’ve got less intensive things you can share, such as sharing interesting little photographs or snaps or videos, etc. that you can quickly generate and turn around on your smart phone that feed into your social streams, without the brain drain than perhaps, putting a whole blog piece together demands. Nick: Great. Well there’s some good tips to start with the content creation side of things. I’d like to delve now into the content marketing, or the marketing side of the content marketing thing. So, how should people go about getting this content out, to their audience or their potential customers? Steve: Firstly, if you’re using WordPress, WordPress is your platform, you’ve done about 70% of the work. Just the way that Google just tends to love how the architecture of the WordPress site is, they can understand and share things. However it’s not quite enough for the whole job. I think listening to your market, to determine where they gather, to determine what sort of things they’re searching on, what social networks are attracting more of them, that’s important. The most mandatory thing I think, is sharing your content through a Google Plus page. Primarily because Google has made some public statements, people within Google that they are giving added advantage to content shared through Google Plus. So, I’d be sharing links to my content back through there. That’s a no-brainer but then, thinking strategically about what might interest people around a Facebook page or group or through a Twitter account with some of the content that you’ve shared. So, it’s one thing to write an article, another thing is to invite the hook in different ways to get it out to people. But at the same time, I think that – by the way, a tool I use for it is Hootsuite, huge fan of Hootsuite, the fact that I can disseminate my content across a number of platforms all at once. It’s hard to talk in general terms but I love using Hootsuite as an eavesdropping tool, for listening in on conversations that are using terms that to me, signal someone who is somewhere along my pathway. Back on the coffee thing, just briefly, both Patrick, from Patrick Baker and I have a little coffee brand called Baristador which we use as a, we do al lot of experimentation with it and one of its key points, the difference, it’s top level espresso coffee but you choose your caffeine strength. So, it’s a niche health market that is there. So, I’ve got a listening search set up inside Hootsuite for the term decaf and coffee together, listening to key markets around Australia, and it’s amazing, you pick up some people who just say decaf coffee and it’s a whole lot of expletives they hate it. They’re not my market, but when people are saying, I’m really looking to try good decaf coffee, that is where you’ve got the chance to fling them a piece of content from your doctors bag if you like. You say oh, here’s an article that helps, or is it possible to have more espresso in the day without feeling too horrible and cramped in your stomach. Well I’ve written a blog post on the Baristador site around that topic, so they’ve asked publicly. I said look, here’s an article than may help you with that thing. So you can actually then start using this body of content that answers questions that people are asking in the real world. Nick: Great, great, great topic. Let’s sort of look at again, past the marketing, into sort of the conversion world. How should we or how should business owners be encouraging these people who are consuming their content to actually become customers? Steve: I think a lot of that’s going to come down to where that person is along in the purchase decision process. The beauty of content marketing, is, if you’ve considered the typical marketing sales funnel, we put a big wide end and it goes into a narrow end. The narrow end, the point at which the sale actually happens but way out in the broad pit, we don’t know that we need that product or service yet. A lot of the content you’ll find out there isn’t going to go necessarily go straight to the conversion but what it does do is to bring order out of the chaos for someone. Like for example, I’m dabbling in an android device at the moment. I’ve been an IOS man for a long time and so I’ve been looking at content marketing articles written by people whom I have a sense of trust about to give me some guidance on what are the better ones to choose. So, they’re not necessarily into direct sale just yet, I am narrowing my field. Now it just so happens, if some of those are vendors, then, they’re on my shortlist so that when I have made my decision, they may not get the sale, but they are on the shortlist and one of the outcomes of most marketing pursuits, is to get you on to the shortlist of a consumer. We all make shortlists, sometimes we’re not aware of it because it’s an inconsequential decision. You’re walking down the street to buy ice cream, or coffee. It’s a short list, there’s 2 cafés, you just make a quick decision and off you go. More elaborate ones like getting another piece of electronic device in my house, past my wife, needs to have a lot more thought that goes into it so I can justify that and so, I am going to rely on that content and I will owe something to the people who have helped bring clarity on the way. I think that movement towards a conversion can happen without being obnoxious about it. I think gently making reference to your Top 5 picks of android devices for example, which might then go to a different page, where there they all are, not only with your ratings but with the ability to order one now or buy one now. To me, that’s a soft sell, that’s a nice way to graduate the movement. Another situation might be one where perhaps in the health field, where you can’t really prescribe publicly, but you can say look, these are the things to be concerned about in this field, let’s correct the sunscreen for children that we talked about in podcast 1. For making the final decision, maybe even think about your child’s skin type and allergies, please make an appointment to talk to one of our doctors or nurses who can help you with those final decisions. I think gently letting people know what the next step is, what we call the call to action, is a rightful thing to have in this content, but the way you do it should come after some good content. It doesn’t hurt though, when they’re reading content to have direct calls to action in the side column where there might be special offers, waiting for people to pursue it because if there’s one thing we know about humans, they hate being sold to, but they love buying. If your content marketing is helping me on this journey, an enjoyable journey of making a choice, no there it is, beckoning for me to make the sale on the corner, then I’m in control and I can click that through and feel like I’ve owned the whole process. I don’t feel like I’ve been hood-winked into it. Nick: Great, great tips and I suspect that this question will be a fairly varied answer but is there some sort of a guideline you can give us to how long business owners should expect to wait, or how long will it take before they start seeing results from content marketing strategy. Steve: Your preamble is correct. The answer is it depends. It depends on the size, the expense, the complexity of the purchase decision. How many choices there are on the market? I’ve had situations where it’s turned around very quickly, within weeks people are generating sales, but others where it’s taken a lot longer when they’re talking about people buying a $5,000 or $6,000 charter for example, going back to my fishing company. That may not be the most expensive thing they’re ever going to buy but they’re also going to talk to friends and then get dates organized. So you have to be realistic, about what’s going on in the world of the customer to make that final purchase decision. So, I wish I could just dole out one, I can’t. It does depend on a case by case basis but also, even within the one enterprise, product by product or service by service. There’s going to be some products or services in your portfolio that are much easier to move towards a transaction and buy. There are going to be others that take longer, so even with the one company, there’s going to be differences across the spectrum. Nick: Yep, yep. So is there any tips or statistics or ways that you can give for people to sort of know they’re on the right track. If it could take a long time perhaps, start seeing the results of from this content marketing stuff they’re doing. How can they make sure they’re staying on track and that they’re doing the right things? Steve: So, again, this is an it depends question, because what you’re asking for their benchmarks if you like, or milestones to know that you’re heading towards the right destination, and you’re making progress. Some people just look at sheer numbers of are you maintaining the number of blog posts, are you getting a certain number of likes or a certain degree of traffic, or is your bounce on your website starting to shrink and not be too high? At Baker Marketing, aside from that, we’ve got an age old little formula we use, that whenever someone’s – apart from finding some benchmarks that works on a case by case basis, at the back of our minds and at the back of our talk, it is always just one thing. If someone is saying, we just don’t think what we’re doing is working, the formula is frequency x reach x quality. So, often, people say it’s not working, and you look back through let’s say the blog articles or the videos they’ve been making, and they bore you to death. They are irrelevant, or they’re stodgy or they’re hard sell and they just not, people are not going to rate them, so quality would die there. There may be a writing great quality, but what’s the reach? How many of your target market are actually getting to see them? It may be well to have it there in your website, but where have you drip feathered into a forum or shared it to an answer, a question someone’s asking in LinkedIn answers or on Twitter etc. That’s one thing and frequency, how often have you been producing and or sharing this content? What we have found, in the 12, 14 years we’ve been practicing, is that 1 of those factors or 2 is often the smoking gun if you’re not generating sales at the other end, which is what that formula leads to and that’s a handy little rule of thumb to bear in mind. That will determine where there needs more effort to be placed. Nick: Absolutely, that makes sense. I think we’ll wrap it up there. Thanks very much Steve for all your insights on content marketing. It’s been a really great chat on this episode, on the last episode as well. If business owners want to get the ball rolling on content marketing, what would be sort of your one tip for how they should get started? Steve: Well, if they happen to be anywhere around South Australia, I would get them to take advantage of our little chat with Patrick himself. He makes himself available for an hour chat free of charge. That is not a sales spiel, it’s actually a solid little chat out of which often comes a good sense of strategic direction, even within that first hour, and to me, everything I talk about has to, needs to, must come from that setting of the compass, which is the marketing strategy, the base of any of the operations. If they do that, to me, that’s making most sense of it. If they’re not going to do that, then taking stock themselves of what are the big challenges faced in the company? Where do they, what have they set themselves to go and what sort of content is going to be most helpful for the type of market they’ve identified. So, I wish there was something to say, just go ahead and start writing a blog, but if we don’t know which direction we’re heading, we’re going to have a lovely journey, and we’ll look at some scenery, but we may never get to the stage we actually care about. Nick: And before I let you go, I just wanted to touch on some of the workshops and things. I know I’ve just been seeing the name, Baker Marketing, popping up everywhere. If someone’s ever going to get this same interview with you because you taught different occasions where you go and do workshops everywhere. 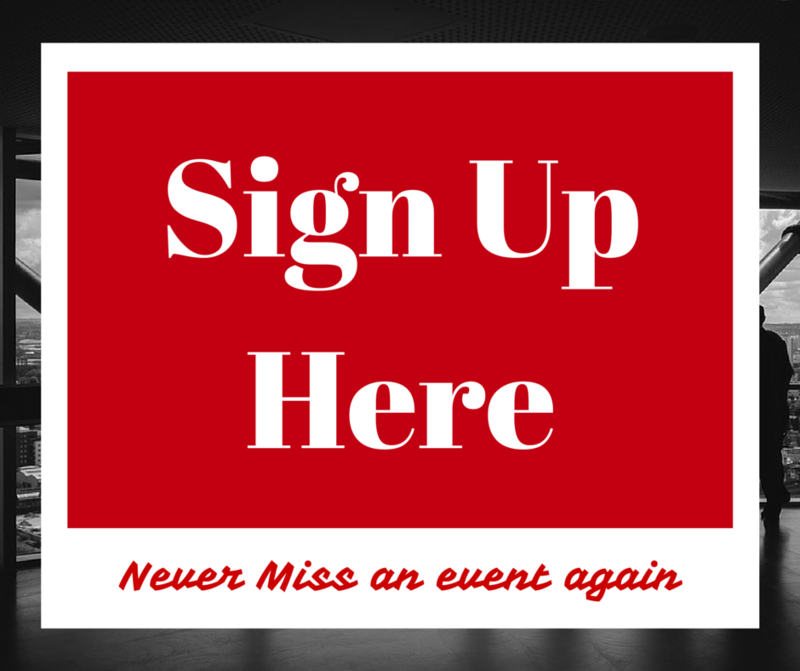 Can you tell us a little bit about these events and how business owners can sort of get involved? Steve: First thing, get involved. I would just give out office a call or have a look on our website, but nothing quite beats just making direct contact, bakermarketingservices.com because the people in the office there have the big master plan of wherever we’re heading and where I’m going. Strangely enough, I’m often the last person to ask. I just look at my calendar and off we go. The sort of things we’re doing, we’ve been lucky enough to win a number of the attenders for the National Broad Band Network, to roll out some marketing for small business and small organization programs in South Australia and Northern Territory and so, they take people through the basics of thinking through IT requirements, Marketing requirements etc., Business systems in the oncoming culture of having access to the NBM to get them right. So, that’s one form of workshop. Other are business enterprise centers and other organizations get us in, what have I done recently? Strategic blogging, I’ve done particular workshops for that also, executive board strategy presentations, just for board members to get ahead around the concepts. We do practical ones on using some of the social media tools. One of the most popular ones that comes up all the time as we shoot out into the regions, is starting with the basis on blogging and then moving through how to get that information now. As a matter of fact, at the time that we’re recording this, I’m heading off to the Coonawarra, for women in business regional development running to intensive days of a social media master class, doing the keynote talk in the evening, having some one on one meetings with people. So, we basically run a lot of workshops on all the aspects of marketing and we just get approached non-stop to do that and that means I am on the road a lot of the time doing it. What I love about it, is you get that instant feedback form people, you can see arms crossed when they’re defensive, when they first hear that I’m going to be challenging some of their thoughts and making them do a bit more extra work, to go a bit harder for their business and that’s the battle, to help them relax, help them see they’ve got no choice, but there are some smart ways to manage their time to make it sustainable. I don’t know how well that answered your question but, many ways, shapes and forms, these workshops take and turning up so many, you no doubt at some point, there’s programs running through the hills between Onkapringa region and through Darwin at the moment along with one offs here and there. Nick: Great, great and I’ll put some links in the show notes as well to where you can find out some more information about that. Thanks very much Steve, for coming on the program. It’s been really fantastic having you. Where can people find out more about Baker Marketing, at the website? Is it the best place? Steve: I think it’s the place. I’ll give you 2 things, 1 is the website which is bakermarketingservices.com and I encourage you to pop on there but also on Twitter, it is probably as good as anywhere, baker_marketing is our Twitter handle. One thing I forgot to mention is the first Sunday of every month, in the evening, I’m on 5AA with a regular radio program talking about things happening on the web and also profiling websites that I find interesting around South Australia and beyond. So, I encourage people to listen out for that and I’m happy to connect on Twitter, at stevedavis, all one word. Nick: Great, fantastic. Well thanks again for coming on the show and enjoy the rest of your trip up to Coonawarra. Steve: Pleasure Nick. I’ll have a drink for you. I hope you enjoyed that second episode with Steve Davis. If you didn’t hear the first episode, then you should go back to episode number 17 and check that out as well. If you want any more information about any of the stuff we discussed in this episode, head to the show notes on the website, that’s www.webmarketingadelaide.com.au. It’s got links to Steve’s website, Baker Marketing website, the social profiles that we discussed, various links to different tools and things we learned during the episode. So go there, check out those links. If you’ve got any feedback or if you’ve got any ideas for future shows, hit the feedback link in the menu at the top and send your feedback through. I’ll see you next week. Bye. Why is this something that small businesses should be looking into? How does ‘content marketing’ fit into a broader marketing strategy? Is it primarily for online marketing or does it have a place in the offline world too? Who should write/create the content? Tune in (download) next week for part 2 of ‘Content Marketing for Small Businesses’ where will discuss the steps for getting your content marketing strategy started. 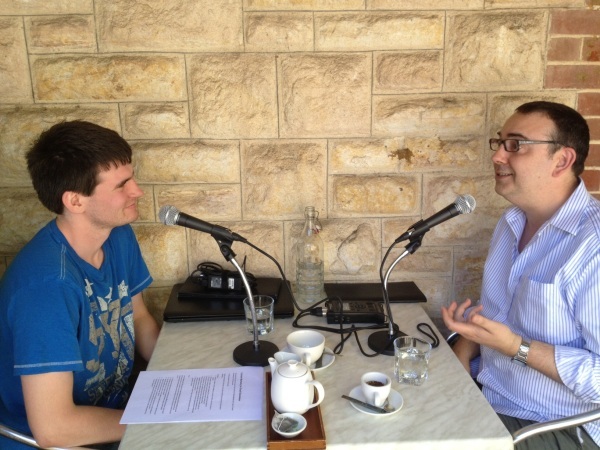 Nick: Welcome back to Episode 17 of the Web Marketing Adelaide Podcast. Over the next 2 weeks, we’re going to be talking about Content Marketing for Small Businesses. Content Marketing is a great marketing strategy that pulls together many of the things we’ve been talking about throughout the first episodes of this podcast. So, that’s Social media Marketing, Search Engine Optimization. It all comes together and fits in together under Content Marketing. So let’s go to Part 1 now. My guest this week is Steve Davis from Baker Marketing and our topic is Content Marketing for Small Businesses. We’re here recording from the Tranquility Café in Stirling in Adelaide Hills. You might hear a bit of ambience in the background. Hi Steve, welcome to the program. Nick: Before we get started on the topic, why don’t you tell us a little bit about yourself and about Baker Marketing? Steve: Okay. We’re a team of about 14 people, seem to change every now and then, but just around about 14 on average marketers based in Adelaide. We position ourselves as the Outsourced Marketing Department because since we began in 1998, our sole focus has been small to medium business and small organizations. Typically, that can’t afford to have their own marketing staff in-house so they like to have expertise they can call on in little pin chips if you like. So, get someone to help with a particular project or use us as a trusted advisor to get a, bounce some ideas off right to doing full blown marketing plans, websites etc. We’re there to help them as much or as little as they need and every day is different and I’ve been with the team since 1999, so out on parole team. Nick: Good one. Let’s get into the topic of content marketing. Now, before I ask you to define content marketing, let’s first define content. What do we mean by content in this context? Steve: I think content can be as narrow or as broadly defined as you like. I think of it being in parallel with the messaging that you think is really important to get across to your target market. Messaging can take all sorts of form, but when I use the term message from a marketing perspective, it’s because it is linking back to the goals of the organization, the marketing goals you want to achieve, so we can’t just communicate with people telepathically, so those messages, that content has to take form in some way or shape and so when I think content, I’m thinking of ideally at it’s foundation, the core sense of what a message might be but then it might be, manifest in many different ways. It could turn into a brochure, it could be photography, it could be spiel that sales people learn to talk with people on the shop floor. It is many varied things. Nick: Great. So, what then, is Content Marketing? Steve: The thing is, we just talked content, then people can hear that Instagram is really popular at the Olympics and Mc Donald’s did a whole lot of really good stuff with it. It’s like, “Okay everyone, we’re just going ahead and take photographs.” That’s content on its own but Content Marketing is two fold. It’s thinking strategically about what content is going to actually have a strong what’s in it for me factor for your target market. It’s going to answer some questions as they move along the sales funnel from not even knowing that they need your product or service to hunting around to choose a vendor to provide that product or service. So, first of all, it’s actually relevant in that part and secondly, it is laid down on their pathway somewhere strategically, so it intersects with them. So, it could be coming up through Google search, it could be appearing in forms where people are, it could be emailed out to them, shared through social networking etc. Nick: Great, great and why is this content marketing, why is this a strategy that small businesses should be particularly thinking about? Steve: I think small businesses benefit if they’re in that phase where they are already starting up and everything is just running at full passion, or they’ve been going for a long time, worked out that things have hit the doldrums and people have been avid to re-tap into their passion again as to why on earth we’re doing this enterprise and so, to me, the common thing is passion. If there is a strong passion and commitment to whatever product or service is being crafted and provided, we’ve got normally an overflow of great insights, of experience, of understandings that help make sense of the world through the focus of their product or service and that information there is just gold. It’s absolute gold for prospective customers who are still on their pathway to choosing a product or service. They don’t know what to ask for yet, so in doing their research, they might come across a handy guide to buying widgets that answers a few of their questions, narrows the field for them and that actually makes them a better customer to deal with because it’ll ask smarter customers and they’re not going to get, they’ll be less likely to be swept up by buying something on a whim, and actually buy something that is useful to them, which is a better outcome for all of us. Nick: Great, great. It seems like probably smaller businesses are more likely to have that passion that you mentioned than say, a bigger business where they have many different working parts and like the Marketing Manager may not necessarily be as invested in the business as say, the owner the business would be in a small business case. Steve: I think you’re right. I heard an interview recently with one of the head guys at Twitter and another gentleman, whose name escapes me now, talking about strategy and the different types of CEO strategy there are. There’s peace time and war time strategies, and peace time is when we’re in this corporate land where things have settled, the companies are established and I find sometimes, this might just be my quirk, but I find that sometimes inside the halls of a bureaucratic corporation, there are people who are marking time. There are people who are doing things because they can, not because they should. Someone who sells, let’s say Bass Advertising takes a sales person out for a, wine and dine them, and so they end up getting some business that way, whether or not it’s actually the right thing for that client, that company to do. There’s a lot of that, that goes on. That’s not always and I don’t want to be hunted down in the dark alleys of corporate land for having said that, but I think there can be a distance from the mission on the road that actually made people seek out that product or service in the first place. Compared to small business, where often, the founder is still there, there’s fire in the belly, there are people gathered around trying to build something and they’re tracked in light by the people. Now, on the gold, rosy-colored glasses there because I’ve also, in the decade plus that I’ve been doing consulting with Baker Marketing, I have met people who seem burnt out, who seemed to have built themselves a job rather than still tap into that passion that’s trying to make a difference in a sector they care about. So long answer, but to me, when you’ve got the ability to turn the boat around quickly, re-sharpen things quickly, that is a gift for small business. Nick: Great, great and how would you say that content marketing fits into a wider marketing strategy? Steve: To me it’s, where the rubber hits the road in many ways. I do probably take more of a holistic view of content marketing than some people, because I believe once you have sat down and done your marketing plan, you’ve worked out who the target markets are that are important to you. You understand how you need to be perceived in the market place by those segments and you can work towards that, you’ve got a vision for the company of where you’re heading. The thing that connects that esoteric collection of insight to sales ringing over in the cash register is helping people join the dots out there and understand that you are a service provider worth connecting to, that your product is one to seek out. So, content marketing really is when you sit down and you put the, you look into the future over the next say 12 months and you work out your marketing schedule. A lot of what’s going to be down there, will be content, content creation and content dissemination in all sorts of ways and shapes, as I mentioned earlier. Nick: So, the way that I’ve been getting into content marketing recently is really in the online world, doing internet marketing, but does content marketing work in the offline world too? Steve: Absolutely. I’d say content marketing is quite agnostic if you’d like, when it comes to the channels through which you’re going to be pushing it, promoting it, creating it because content can be in the form of brochures, it can be loyalty cards, it can be material that people take away and read. It can be training sales people in all sorts of chunks of content writing there, people doing key-note speeches, travelling around, running workshops. To me, they’re all part of the school of content marketing but to be fair, I think it’s the online genre where it’s most accessible to small business, because although there is a commitment, a serious commitment needed in head space and some time to pull content together that makes sense and to plan what you can realistically achieve with your resources. The overhead’s beyond that, negligible, so it makes it much more sustainable. Plus, also, sorry, one other thing is, the reach, the potential reach of online is global. So, although, if you’re going to be manifesting a book or brochures, that’s going to be tied to a very, very small market unless you’ve got huge deep pockets for big budget, whereas, you craft content that might be for example, some video, and that video is available worldwide. Now, you may not have distribution worldwide, so that might be irrelevant, but you can at least expand to as far as your target market is. Nick: One thing that I always was sort of wondering at the beginning when I first came to content marketing is something that, business owners might be thinking as they listen to this is, why would you create the content yourself as opposed to say, buying advertising in the newspaper or industry publication where they sort of have professional writers who have a built in audience and they already know about the content they’re creating? Steve: I think, that’s a good question. I think it’s both end. In fact I know it’s both end. There is a time and a place for advertising, and I should probably point out, when I’m thinking content marketing, I’m not including advertising in that. I’m focusing solely on information that A, is meeting the needs of the business, the business goals but is actually helpful, interesting or entertaining for the audience, for the recipient. So, it is a joy to consumer, it’s something we want to consume because it meets a need. Not everybody but hopefully people that you’ve identified in your target market will find it that way. So, it’s different from advertising, advertising is something that is forced upon us, against our will, its quid pro quo for watching a TV show for free otherwise, and so you’ve got to do your best to skip it and fast forward as much as you can or turn the newspaper page over, so, I think of them in different terms. Now, with that clarification out of the way, I have missed the point of your question, haven’t I? What was the question again? Nick: You’ve mostly hit it. Why should people do content marketing in sales as in creating the content themselves as opposed to advertising in a number? Steve: There are 2 parts to that. So, advertising versus content marketing, I think I’ve covered that one, but outsourcing the production of content. Only recently have I softened my stance on this. I have for a long time believed, that content marketing or the content that a business creates should only be created in-house. I think that the authenticity that comes from having someone who is an expert in their field break things down and make understanding easier for us trying to decide what we need or how much we need of it or how we should apply something for example. That’s the call, that’s the call phase. There are people I trust, they understand it. To be fair though, there are new skills that are needed to do that in a way that actually makes it readable. Just because someone has domain expertise, doesn’t mean that they know how to communicate with to those of us who don’t have that same level of understanding. One of the things I often open up within my workshops, is often the greatest obstacle we face in business is we know too much, when it comes to our online marketing or any marketing. We know what people should be searching for, what questions they should be asking and often they don’t and so our job is to be, I guess keyed in to where people are at and what sort of questions you’re likely and most attractive type of customer is looking for and there’s a great discipline there. That’s the marketing discipline, really. I suppose it’s been tattooed on me for many years at Baker Marketing that we’ve been marketing as the guardian of the customer. So, every single operation within a business should be consumer centric, should be focused on how is this helping the consumer, the person you’re trying to court and the same goes with the marketing creation. I think, we’re at a point in business now, we all wear two hats, whether we like it or not. The hat of our expertise, what we do, and the other hat of learning these skills bit by bit to write a blog, to take photographs that are helpful, to share video etc, tools in making it easier and easier. If you are coming from a point where what you’re crafting is aligned with what your business needs and what influences your target market, its full ticks all the way, it’s magnificent. If you’re struggling, then yes, get in some expertise to help you perhaps create some framework in how to craft this content would be my first option, because my dilemma in outsourcing all your content creation, is it’ll be schmick, it’ll be beautiful we hope, but it will probably lack some of that authentic connection to the enterprise itself and can often be credit for its own sake. Using the certain flows and patterns of that particular content creator always uses and that might not be the same rhythm of talking the same interest and passions of the target market, which we hope the small business is more keyed into because that’s their bread and butter. Nick: Definitely, definitely. I agree with that. I have something I also want to say on that point is that one of the disadvantages or one of the problems with outsourcing all your content is that your competitor can easily do that as well and then you don’t really have some sort of advantage over them but doing it sort of yourself or at least part by yourself gave that sort of authenticity you talked about. You can sort of make it your own and make it harder for your competitors to copy. Steve: That is such a good point and if you’re just going to go to the market for the same old, same old, then it will be the same old, same old. Often there’s a quirk, there’s something unique that you or someone in your team can create. They’ve got a different way of viewing them, part of that is access. I’m working with a fishing charter company up in Darwin and they just had some of their clients come on and they all had go-pro cameras on their hands etc. In this fishing case, how you got your fish when you come back to shore, what preparation you put on to the clothes you choose, the insect repellant you choose, all that stuff is the sort of content that me, as a potential customer, I can’t get enough of, as I’m making my decision. Either I’ve bought and I’m preparing to come and do my trip, so I want to soak up as much as I can to enjoy the most or in choosing operators, “Oh I get a chance to taste and try before I buy”, that’s going to lean me towards this company over another one that’s just got the standard list on their website or worse deal, the boring copy you see where it says, “We’ve been running fishing charters since 1973” and you’re half asleep before you finish that sentence. Nick: Great. Well, that’s been a fantastic introduction to content marketing. We’re going to stop this episode now and we’ll continue with more of the how to do it in Part 2 of the content marketing topic. Thanks Steve for joining me. Steve: Thanks Nick, time for coffee. Nick: I hope you found that introduction to content marketing useful. Remember to tune in next week for part 2 of the content marketing discussion. Ep#16: Online Business Directories, Are they Worth it? Have you been getting calls from online directories asking if you want to buy a premium listing? In episode 16 I discuss online business directories and how you can get the most value from them. Nick: Welcome back to Episode 16 of the Web Marketing Adelaide Podcast. I’m your host Nick Morris. This week, no guest, it’s just me sharing a great topic with you today, something that I’ve done a lot of research on, and I think I can provide some good value on, so let’s get straight into it. Our topic this week is online directories and whether they’re worth it for your business. Now, it used to be that the Yellow Pages was all the rage, that’s where you needed to get your business put in so that people could find you and if you didn’t get it in there you’d probably lose quite a lot of business over the year but these days, most people use search engines such as Google to find local businesses when they want to go to a restaurant or find someone to fix their pipes or whatever. You may have been receiving some calls from some online directories that have set themselves up and they’ve got various options like core businesses and ask them if they want a premium listing on their directory and you’re probably wondering, are these directories worth it? Should I be paying to get in this premium directory? They sound like a good deal, they seem pretty convincing. This episode is really to give you all the information you need to know about these online directories. Are they going to be worth it for you? What do you need to keep in mind, which ones are the best ones to go for, etc? So we’re going to be covering in this episode the benefits of getting yourself into online directories, possible negatives and free versus the paid. So, you have free listings and paid listings usually in each directory. An important question to ask or to get the answer to, which is where do they get their traffic from? We’ll go through that and also tips for choosing a paid directory or a paid directory listing if you want to go down that route. So let’s get started with the directory benefits. Now, we’ve got 3 different sorts of benefits and we’ll also go through the possible negatives or the one possible negative. The first benefit is traffic and customers. So obviously this is the main one, you’re going to get more customers for your business. It could be people that actually see your directory listing and see your contact details, such as your phone number, such as your email address or possibly a contact form on the directory. Your address for walk-in traffic or your website and people could actually see your contact details there and contact you directly from the directory or they could click through to your website and buy from you if you have a store on there or contacts you through there. There’s sort of 2 different ways you can benefit from that obviously. That’s sort of the main or the core benefit that most people would think about when they’re thinking of getting themselves into a directory but there’s some other benefits as well. Now, there’s, one of them is local SEO. Now, just to give you a little bit of rundown on what that is. Google has got its own version of a directory which is called Google Places and you’ve probably seen this, if you go to Google and do a search, which is somewhat local, it could be something like restaurants or plumbers or something like that, something where Google thinks you’re probably looking for a local business and they automatically serve you up with what’s known as places, Google Place listings. Now, this is typically accompanied by a map on the right hand side of the screen with little check marks on it and they relate to listings in the search results which look a bit different from the normal results and their place results usually have an address there and possibly some information about reviews. So, this is sort of Google’s own version of a directory. It doesn’t really work like a normal directory but you can think of it as kind of a directory but it is a way of sort of boosting yourself in the search results if you have a local business, specifically for people searching from your local area. It’s not really known exactly how, just like normal SEO, it’s not really, Google doesn’t put out a road map telling you exactly how to rank better in their search results or the local search results but some research has been done by various experts in the industry using co-relation data and using various tests and whatnot. They’ve discovered that it’s a language code structured citations, which basically means the number of times your business information appears throughout the web. The number of structured citations you have can help increase your local or your Google Places ranking and a great way or an obvious way to do this is by having lots of directory listings, which have your business information on there. This means as well that you should make sure that when you put your business details out there, you’re always giving away the same information. So, always use the exact name business name, don’t add a PTY LTD on there or do something different with key words because you think it may be beneficial. It’s best to keep it the same. Also put the same phone number, don’t add 0 8 to the start of some and not others or don’t put like tracking phone numbers. It’s best to give your basic information and that can help you with your local SEO. The last benefit I’m going to talk about is a more general SEO benefit. So just to go back to the basics of SEO, links are sort of the main way that Google uses to determine which websites deserve to rank higher than the other websites. So, they look at the number and quality of incoming links, that’s links coming from other websites to your website and using those signals, those link signals to determine where your website should rank. Now, pretty well the accepted directory links won’t give you much value, because it’s pretty obvious to Google that they can be created by a person, so it’s not really a strong vote but it would probably give you some value and you probably want to take all the value you can get. So, that’s one benefit, one sort of broader SEO benefit. Another broader SEO benefit is you just have more pages in the search results which relate to your business, so you just have more opportunities for people to click on a page and come through to your business and because they’re not on your website, there’s perhaps of a little bit higher chance of ranking up there. If you’ve already got your own business in there, it’s unlikely that many, many pages from your business or from your website are going to rank in the search results, but if they’re on different websites they’ve got a better chance of ranking because Google likes to have a bit of variety in there. Of course it’s all for your website, it’s going to be beneficial. Now, one possible negative which I should definitely mention for adding yourself to directories, something to keep in mind for sure, is that some people have abused the directory model by just creating thousands and thousands of really low quality directories, ones that you would never visit them and they don’t really have any value for people. The primary purpose is to, just sort of create links for some of these websites. It’s really just manipulating Google’s rankings and that’s all they’re for, and Google is not a big fan of these sorts of schemes and if they discover many of these directories linking to your website. So, if you were to go out and sort of link your website with the thousands of these or even many of these directories, Google might mistake your website for being low quality or spammy and give you a penalty or deduct your rankings. So, that’s certainly something you should keep an eye on when you’re adding yourself to directories. Also, if you have a web designer, an SEO or marketing person doing some work for you, you should make sure they’re not doing anything like this a well, or always use good quality directories, ones that actually provide value to people, not just for search engines. Alright, our next section is sort of looking at free versus paid listings. Now, most directories operate on a “free-mium” model, so they’ll basically give you a free listing with probably, usually some pretty good business information. Most of your business information, a description, a link to your website often, and some other things, possibly photos or videos or a map showing where your business location is. It depends on the directory but most free options give you that and then, they have some sort of premium option which will usually give you a more prominent ranking within their categories, within their directory and perhaps maybe less advertising on or around your listing and maybe some more additional features as well, and you pay extra for that. It depends on the amount you pay, it depends on the different directories. I would say that for the free listings, I should say they’re not completely free because there’s obviously some time associated with adding your business in there and you should be writing unique descriptions for each directory and that could be up to say 400 words. That can take a bit of time to get that done and it might take sort of 5-15 minutes depending on the directory to add the business in there. So, it’s not completely painless but it’s not too difficult. So, if you have the time, I think it’s definitely worthwhile to add your business to these free directories, keeping in mind that you want to stick to high quality directories because you don’t want to get any of those negatives I just mentioned, and another thing is, you probably want to stick with local directories. There’s some directories out there that are sort of international in nature and when you think about these, probably unlikely to really provide that much value to people because they’re so broad and they don’t really relate, a specific location for a specific directory really provides much more value than these really broad international directories, so I would stick with local directories. We’ve got plenty in Australia for you to focus on. In the show notes, I’m going to put, we’ve got a big list on Wicked Cow Marketing of up to about 50 or more free Australian directories that you can add your business to and some tips there for how to do that and what you can use to make the process much easier. So, I’ll put that link in the show notes. Now, the other option of course is the paid option, which is the one you’re probably getting calls about from these directories, trying to get you to pay for their program, for their premium options. It’s very difficult to know if a directory is going to be worthwhile unless you actually get in there and test it. You should definitely tread very carefully because in my opinion, the money you could spend in a premium listing in a directory is probably often could be better spent on other marketing initiatives. So, what you’re going to make sure, if you’re going to be thinking of going with one of these directories, you want to do some research and really make sure it’s going to be worthwhile and it’s the best use of your money. The other thing to think about with paid directories is that sometimes, they won’t ask you for money but they’ll ask for something else in return. And I lump these in under paid as well because it’s not completely free and often this will be a link back in return. So, what it will say is, we’ll give you a place in our directory but you have to give us a link in return from your website and I would pretty much in all cases, I would not do this. The reason for that is it might sound like a kind of a good deal for you but the reason is that this sort of link exchange arrangement is a common way of trying to manipulate Google’s rankings and they’ve really sort of come down on the last couple of years and it’s a very sort of dubious way of getting links. I think just to be on the safe side, you should avoid that at all costs. It also means you have to put up a page on your website with a link on it, and it’s somewhat counterproductive. It probably isn’t worth it for you and it could have bad, sort of negative connotations to it, so I’d leave it alone. So, this next section is about why it’s a great question to ask where these directories get their visitors from, if you’re going to be thinking about going for their premium or paid options. So, basically, there’s probably about 3 different main ways that these directories get their visitors and traffic. Now, those ways would be, number 1, organic search, so, that’s through the search engines, the free listings, you might call them, people just making a search and clicking through. Number 2, through advertisements, so that could be Google Adwords ads, so that could be ads within the search results, paid ads or it could be ads on other sites. There are various other ad websites out there where these directories could advertise, and the third option is by actually having built or building a community of people that come back to that site regularly to get great information, perhaps from a blog or something or interact with each other on a forum and these people are sort of coming back to the site anyway and they’re using the directory as a resource. So, this is really the one you want to pay attention to because the other 2 traffic sources, the organic search and the advertising is something you can actually just do yourself and you can probably do it cheaper because there’s no middle man. The directory is the middle man if it’s going to them. If the search is going from the visitors, wherever they’re coming from to them and then to you, that’s sort of a middle man situation, whereas you can use these techniques yourself, use the money you might be spending on a directory to get organic search to your website, to get advertisements to your website. So, those 2 options you can really do yourself, and probably cheaper and more efficiently, whereas the third option is much difficult to do yourself, which you can do, and you definitely should try and build a community if you can, but it could take quite some time and if the directory has already done that for you, this might be a good reason to actually go with the premium option and you could get some good benefits from it. So, let’s go into the last section for this podcast, which is how to choose a directory or for some tips to ask, things to ask, information you should consider, if you’re sort of towards the stage where you really want to figure out if a particular directory is for you or it’s going to be worth it. The first thing or the main thing you want to be doing is getting data and the directories probably get this question all the time if we’re going to have this data ready to give you. There’ll be, the data they’ll likely to have on hand is the number of visitors their directory receives overall, the number of visitors you receive in your particular local area and also the number of visitors that get to particular categories that they think that you should be put in. That information is useful, but there’s probably some other data I think you should chase up as well, and they may not have this on hand but you should certainly try and get it. The first one is which we’ve just talked about, which is where do they get their businesses from and this is very important for sort of knowing whether they’re really going to be worth it or not. The second thing is, how many visits are you likely to receive on your listing? They’re going to tell you perhaps how many visits their website receives, and how many visits each category receives, but it really depends on how many different businesses are in that category that you’re competing with and what’s the location, sort of distribution like. So, asking them how many visitors you’re likely to receive from your listing is kind of an important number. The last thing of the data that I think you should try and collect is try to get an average conversion rate for visitors to your listing. So, that is the rate, or the number of people who convert by either contacting you through one of the methods on the directory or through actually clicking through your website and they should have some of this data there if they’re good and this is really important data because you want to know how effective their directory is going to be for actually driving customers your way. If it’s going to be really low, a really low conversion rate, then maybe you’d be better trying to send them to your website where you have bit more control. Like I said, they’re going to have some data on hand, but those last 3 they probably won’t so here’s a few ways that you can try and get that information if they don’t have it for you. Number 1, look for signs of a community. So, if they don’t really have that information on hand, of how much of the traffic comes through the different methods, look around on their site to see if they look like they might have some sort of community going on there. You can look for, if they have a forum, or they have a forum that has lots of activity going on, that’s a pretty good indication that there‘s some sort of community there. If they have a blog, look at their comments on their blog posts. If there are frequent comments and lots of back and forth, that’s another good indication. Look at their social profiles, their Facebook page, a little bit of Twitter profile, see if they have any activity and if they have many fans, if they haven’t got any, then that’s not a good indication. Now, for trying to figure out how much, how many views your listing is likely to receive, you can usually ask them to give you the data for a comparable business in your area. You want to make sure that they are comparable obviously and that they are in your local area because obviously, with the population distribution, the number of people that are going to see your listing will be very different if you are in the middle of the city or you’re right down in the country, on the outskirts of town or whatever. So, this is certainly something you should be aware of and should be probing about and they’re probably not going to give you the business name, like a competitor and how much business they get but you don’t need to know the business name, you just need to know some basic details and the number. The last thing you can do for finding is to find some comparable businesses yourself in the directory and actually just contact them directly. So, depending on your industry, your competitors, probably aren’t going to be that willing to help you but if you have something like a, a very similar business to yours in a different city, is one idea because they’re likely to, as long as you can sort of match up the populations pretty well, that’d be a pretty similar business or you can look at a non-direct competitor of yours in the same city, that’s in a similar business as well, so that’s just another way you can go. I’ve just got a few more tips to finish off to help you out with this thing of getting a premium directory listing. So, try and negotiate a pay by the month arrangement or some sort of trial period before you get locked into like a year long contract, because you want to be able to test it out, get an idea if it’s actually going to work and if you find that it’s just not going to work for you, then you want to just get out of it without having to pay for a whole year, which would be a waste of money and also just to test these things. You should get Google Analytics and put it on your site or you can use another analytics package if you have one, or if your web developer has already put it on but Google analytics is sort of the industry standard, your web developer or your SEO guy should easily be able to put that up on your website for you and that will give you also statistics about where your traffic is coming from, how long they stayed, etc. Another more advanced tip for using Google Analytics is to set up goal tracking. So this will allow you to actually track when people convert in some way on your website. So, that could be buying a product, is the most simple way of thinking about it, but it could be also filling in a contact form or even just visiting your contact page, which is the strongest indication that they may contact you or it could be joining a mailing list or something. So, you can set that up in Google Analytics you can actually see, okay so these people have converted and where did they come from. These ones came from Google, these ones came from some other website and these ones came from the directory and then you can sort of work out whether it’s going to be worth it for you. Another good idea is to keep in mind that you should probably ask people who were calling you or people who foot-traffic into your business, where they heard about you and this can also help you capture some of these people that may have seen your directory listing and have come, not to your website but called you directly or have come in directly. So, that will also help you to track within your trial period and decide whether this directory is actually working for you. Alright. That pretty much brings me to the end of all the information I had for this episode. To get notes, some links, more information about the stuff that’s been mentioned here, you can check out the show notes for this episode, for episode number 16. We’ll have some links up there, links to my list of business directories in Wicked Cow Marketing, and also a link to an article which has a lot of this information up on our blog coming up this week. I hope that was good information and I will see you all next week. In Episode 15 I chat to Karyn Lanthois from Massive Empire Design about the WordPress.org platform and why it is a great choice for small business websites. Karyn is an Adelaide based WordPress developer and has some great insights about the platform as well as tips and plugin recommendations. What makes WordPress a good choice for small business websites? Does WP have any shortcomings? How does WP compare to other website solutions? Nick: Welcome back to the Web Marketing Adelaide Podcast. This week, we’ve got a special guest. We have Karyn Lanthois from Massive Empire Design. How are you doing Karyn? Karyn: Great. Thanks for having me Nick. Nick: This week, we’re talking about WordPress. Karyn is a WordPress developer and WordPress system for designing or developing websites. So let’s just get started by having you tell us a little bit about yourself Karyn, and about your business. Karyn: Massive Empire Design is, because I love freelancing, I’ve actually been involved in digital technology for about 14 years. I’ve been building websites since about ’99, badly I admit to begin with and had a company for a while there. We made mobile games and also made a bunch of digital contents, some of which is still online, ABC for instance but in the last 3 years, I’ve been focusing on my passion for small business and WordPress. Nick: Great, and your clients mostly consist of small business owners? Karyn: Yes, small business owners and community groups is where I seem to have most of my clients at the moment. Nick: Great. So let’s get into the topic by how about you tell us a little bit about what WordPress actually is and what are the aspects that make up the system. Karyn: Sure, sure. From a very beginner’s perspective, WordPress is open source plug-in tool and a content management system. It’s built on PHP and MYSQL without going into it too much. PHP is a general collective scripting language and it’s performed on the server, which is what makes it so great, because it makes everything quick and also the database and the MYSQL, just go ahead and Google it if you want to know more about that. So, the most popular and the largest self-quested blogging system in the world. It did start as a blogging system but it’s definitely evolved over time to be a pretty capable full content management system. It’s not just for bloggers these days. Three industry heavy-weights use it, for instance, Boingboing, I can Haz Cheeseburger, CNN, New York Times, Tech Crunch, eBay, so you can see it’s pretty powerful stuff. One thing I would like to point out is that there is quite a difference in the functionality between the WordPress.com version or the self-hosted version, and I would recommend to take the jump and to go straight into self-hosted every time just because of the control and additional functionality. So, diving right into what WordPress is made from, I guess that the very heart of it is the theme. So a theme are a set of files, which determine your basic carrier and functionality of your site. So, the WordPress software stays the same all the time and can and should be updated regularly, however, your theme is always interchangeable. So, if you decide you’d like a different look, you can just choose a new theme and not lose all the content that’s there on your site. So, you can use a theme for free and this is often the best way out for a first-time user, however, once you get your feet wet, it does pay to have a look at some premium things, simply because the person that has coded that theme often spends a lot of time on a dashboard, which will be available in your administration dashboard of WordPress. It just makes it so much easier to customize things such as your header, your background colors, your fonts, the way you integrate your social media. It generally comes with some really nice image sliders which you can see are big features of landing pages these days. So, definitely recommend to have a look at some premium things. It’s pretty easy to find really good reviews online just by asking Google. Of course, what makes WordPress amazing are the plugins. Plugins are built by thousands of different developers worldwide and they’re pretty much all available to look up on the WordPress website. It’s very easy to find reviews of what’s good and bad about various plugins and they do absolutely everything, just let your imagination run wild. So things like image galleries, forms, business directories, ways of backing up, integrating your social media, to fully-fledged e-commerce shops. I’ll probably talk a little bit about later about plug-in that I love. And then, as far as the way your content is written, there’s two things, pages versus posts. So we use a page, when you’ve got very static information, things like your “About” page or your contact page. Pretty much everything else should be a post. You can tag and categorize your posts, but you can’t do that with pages. So, a page just kind of sits there, whereas a post can be manipulated, ordered, misted, categorized, you name it, it can happen to a post but not a page. Yes, so that would be a good starting off point there Nick. Nick: Yeah, a great starting off point. Let me just make a few notes on what you were saying. Just to make it clear to my listeners, when you say open source, what does that mean exactly? Nick: Okay, so open source is free. Karyn: Yeah. You don’t pay for WordPress, all you pay for is the hosting which is pretty cheap to come by and a large array of the themes and the plug-in are free. The WordPress software itself is free and obviously, everyone collaborates on the software and discuss things. There’s no privacy, there’s no corporate secrets. Nick: Yeah, that’s sounds one of the most powerful things of the whole system and the community around it is that, there’s a lot of sharing going on, a lot of free themes and plugins like you mentioned and the software itself is free. So, it’s a very cheap way to get into a website or a cheaper way to get a website started than a different system. Good. And so, that kind of plays into my next question, which is, what makes WordPress such a good choice for a small business website? Karyn: Sure. I think I would have to say, number one is ease of use. It is my preferred platform and once you’re used to the layout, it stays the same all the time. It’s, with every upgrade of WordPress, they do tiny tweaks to the dashboard but it’s essentially the same, and once you get the hang of it, it’s a lot like using Word. So the bulk of your time, and especially when you’ve had someone else develop the website for you and you’re just simply taking care of the maintaining of the site, the bulk of your time spent writing in a note pad-like window, it auto saves all the time and it’s pretty easy to roll back to an earlier version of your page or post. It’s not too difficult. It’s very easy to insert images and of course you need to learn 1 or 2 things about using images on the internet and not upload 1 gigabyte files, but that’s just a small learning curve. So once you‘ve gone past that, you can take charge of your own website. You don’t need to call your developer all the time. And the one thing I will point out though, a word of caution based on many years of experience, is writing regular updates to your website is possibly one of the hardest tasks for a business owner and I’ve found, quite often, it’s quite difficult to just extract the copy to the “About“ page. This is really normal behavior, don’t freak out, always just sit down and do small amounts of writing. Nick: Yeah, yeah. I can definitely attest to the difficulty of getting some content onto your website, even when you sort of have a, you seem to have the motivation and your mind, once you sit down in front of the keyboard, this doesn’t sort of come out. Karyn: Yeah. It’s very hard to talk about yourself in your own business so, even if you could find someone that you trust, a colleague or a business mentor, even a friend to sit down and tell you what they think your business is, I find that’s a useful tool. Nick: Great. And I also say that I use WordPress for all of my websites and I use it for the website for the podcast, which is webmarketingadelaide.com.au and I definitely can say, agree that’s it’s very easy to use and I’ve just been helping a client just today with their website which is on Joomla and comparatively Joomla is much, much more difficult to use, from my perspective. Karyn: I think I agree with you Nick. I think it’s a steeper learning curve to get into Joomla and it can be a little bit confronting, for someone who’s not used the content management system before whereas, WordPress it’s just sweet to look at and easy. Nick: Yep. Very easy. So, now let’s look at the dark side and say, what are the short comings of WordPress? Karyn: As much as it pains me to speak badly of my beloved WordPress, it does have a couple of short comings. I for one, I’m not a huge fan of the media library, because I’m not the organization photo freak, and it generally just lists your media by the date that you uploaded it, with most recent showing first. However, you can search pretty easily and if you are to end up managing a large image library there are some really good plugins, which allows you to tag your images as categories and re-claim your OCD like control. Secondly is security. I have had many heated discussions with coders and sever buffers and they swear to me that WordPress is less secure that Joomla and Drupal. However, in the past 3 years, I have been hacked once with adware and it was totally my own fault and there’s just some simple measures you need to take notice of. Things like renaming your default username, which is admin to something else, anything else, and generally not the name of your website, because it just makes potential break for a hack 50% done, because that’s the first thing they try. And then of course to make your password something a little bit more complicated than your child or pet name. And that you should always upgrade your WordPress installation whenever it wants to. Always go in and have a look and see if any of your plugins needs updating because they can cause some security weaknesses. However as I said, and I’ve maintained probably between 30 and 50 websites in the last 3 years, I’ve only been hacked once. Nick: You mentioned the updating there. The WordPress will tell you when there is an update available in your dashboard administration area. Karyn: Yeah. It’s pretty difficult to miss and it’s very easy to do. Of course it always comes with a warning that you should back up your site. I have come from years of never doing the back-up that you need to do and I’ve never had any major fall waivers. I have had plugins cause different issues on a website. You’ll find if something on your website is not working, it’s a matter of deactivating the plugins one by one, and 9 times out of 10, it’s the plug-in. Nick: Sure, sure, that’s probably one of the downsides of the plugins being available for free. So many people are developing them, there can be clashes between plugins sometimes and new versions of WordPress. Karyn: Yes, and it’s easy to get excited and install all the plugins. Probably just chose the ones that you really do need and deactivate the ones you’re not using. Nick: Right, right. If you have too many, it can also lead to your site being a bit too slow, which is a bad issue for users and a bad issue for the search engine as well. Karyn: Sure. So I caught the blogging bug pretty seriously in about 2008 and I did start with TightPad and Blogger. I did grab a tight towards tightpad because I found it nicer. I have to use stuff that looks pretty, and I did end up migrating all my thoughts to WordPress in 2009. After I discovered it just looked better, was better supported, I never looked back. I am suspicious that Blogger might get an incredible make-over at some point. GTE is Google origins, but we’ll see on that and then of course, there’s Joomla that we touched on briefly just before. I really like it, I feel like it’s got a steeper learning curve, though. I find most of the time if someone comes to me and they ask me about having a new website, they will ask for WordPress rather than Joomla. It’s generally something that is more of an advanced recommendation and I’ve decided to fix on WordPress because I love it, however, I do respect Joomla and also Druple, having spent less time in Druple. Nick: What do you think of, sort of proprietary systems that web developers might have that is just their own system? Karyn: I recommend, to stay away from them and I find that when a company has gone to great lengths to build a content management system, it’s something that are you going to be sure that they are going to be supporting it for a very long time and that they are going to update it regularly and are they going to be around for the various bugs and troubles that always occur. Secondly, WordPress has some innate features which just cause your website to rank higher on Google. I can’t tell you the exact technical specifications. I found after my grading a sight-over from another platform, just simply by putting it in WordPress, it ranks better. I think enough of the various technical discussions online as to why this occurs, and it’s, if you know anything about pings, it’s got something to do with that. Every time you send a post on WordPress, it gets spotted pretty much immediately on WordPress, other aspects like that but I also find that, for instance there’s something called weeks, it just looks horrible to me. And I just find that people who build their own websites have all of the energy and excitement to do it but maybe less graphical design knowledge and so you can quickly create a fairly ordinary looking website using some of that proprietary software out there. Nick: Something else I want to say about that. I don’t want to ruffle too many feathers in the web design community but, something that I find or I think is the case, is that these web designers that have these proprietary systems is often a way of locking you in because once you’re sort of in there and you have your website with that system, you can’t change to someone else. You’re sort of locked in as long as you want to keep that website, you have to stay with that company. Karyn: That’s absolutely right Nick. That’s an excellent observation, definitely. I say to all of my clients, if you need to go to someone else after this that’s absolutely fine, it’s all there for you. And I’ve been, it’s been easy for me to pick up where other web designers have left off with some client sites or sometimes I’ll just go in and do a little bit of security and SEO and the tweaking of the website and then hand it back, so that’s what great about WordPress also. Nick: Yep. And you mentioned about Blogger before and earlier I said that all of our websites are on WordPress but I lie. The blog for this podcast is actually on Blogger and when I created it, I sort of, I don’t know, just started off with Blogger and now I sort of regret it and it’s to the point where it’s kind of hard to switch it over. So I definitely recommend, if someone is thinking of going with blogger, which is free, consider just paying, hosting is very cheap these days. You can get pretty cheap hosting for as low as $10 a month. I also get a lot of content and bandwidth needed, so just pay that little bit of money, get a proper domain, and go for a self-hosted WordPress over something like Blogger. Karyn: And something else too. If you are a company that wants to be picked up in China, if you use anything that has WordPress dot whatever in the URL, it will blocked, however if you have a self-hosted WordPress website, it’s available to be seen. So, just little things like that. Nick: Right, right. That’s another point as well. I mean, if you have your own website with your own domain, you can have your own email address. So you can have nick@webmarketingadelaide.com.au as opposed to nick@hotmail.com. Karyn: Sure. And also, back in the day, when I paid for the professional version of TightPad, I think it was $15 a months, which can add up in a year for a little blog, whereas WordPress these days, you can get your webhosting for $50 a year if you look around. So, there’s some savings to be made as well. Nick: Well, let’s finish off the interview with you’re going to give us your 5 top plugin recommendations. Karyn: Oh it’s just killing me, I’ve got 7. Nick: Oh, give us 7. Karyn: Yep. So number 1 is a plug-in called WP Manage. It’s my favorite plugin of all time. It means I can manage all my sites from one dashboard. You can have 5 website in it for free. I do pay for the professional version because I’ve got more than that and it allows you to update all your WordPress installations and plugins with just 1 click of a button. I mean, that’s a little bit frightening, I do it site by site just to make sure that nothing’s fallen over. I’d hate to update 20 sites and then try and discover which one is having an issue. However, it’s there if you’d really like to do it. You can install the same plugin to all of your sites at once, which is a huge timesaver and I can schedule weekly backups of all my sites including the database, and 2 gig drives, which I do once a week. I just don’t even think about my backups and you can do things like SCOGDs, you can post from one dashboard, you can search for various security flaws, and that’s just the first things I can remember, you know. If you even got 2 sites, I recommend, use this. Number 2 is Jetpack. I think pretty much everyone should just install it. You need a WordPress dot com account to use it. That’s free and very easy to set up. It keeps you straight off the bat, some really great page steps. It’s got an in-built spelling and grammar checker, which is obviously crucial for publishing online and easy sign-up subscriptions, social sharing widget, short coding bedding, which if I explain very non-technically, just putting your results into publishing, quite easy. Yeah, so, that’s the first plugin you should install. There’s another plug-in and there are several of this kind and I call it N relate. So, what that means is when you have a post or an article showing on your site, underneath it will give the users some ideas on some other content on your website that they might find interesting, which is great. It just makes the website a little bit stickier, people will stay on it longer. Nick: Yeah that one sounds good. What was that code? N relate? Karyn: Yes, capital N, relate. Nick: Right, yeah. So, that allows people to stay on your website a bit longer if they can see something else they understood and wants to finish reading the page on their own. Karyn: Yeah, you can customize a little bit too. You can decide if you want image to show or just text and there are some other nice customization options which are pretty easy to do. Now, everyone’s talking about responsive websites these days, which means that a website that looks good on different sides of the screen, and tablets and I tend to think that most people have phones which are showing the majority of websites pretty reasonably, however, I install WordPress MYBOL addition on my site. I’m also experimenting with some other plugins of that nature but it’s pretty much a plugin that shows a very fine friendly version of your website. So, that one’s really, really handy. If you’re looking for some sort of event calendar, which is often right up there on a list of things that a small business might like and what it does, it’s free and it just provides an excellent calendar on your website, which can sync with Facebook. So, if you have a Facebook fan page, you can sync in between your WordPress website and your Facebook page, so that your upcoming events will show on both and that one looks amazing on a mobile as well. And then just to give a taste, because obviously, there’s lots of free plugins, and then there’s also plugins that you pay for, which means that someone’s really gone the extra mile and developed something which is pretty rock style software that’s just going to add to experience of your website. One of my favorite is a business directory called connections. I think it was like $30 plus an extra $10 for a user upload form and if you wanted to go and see how it looks, I’ve got that live on a new website I just developed. Chinatownadelaide.com and it currently has, I think about 300 small businesses listed on it that are China Town Adelaide friendly, so definitely look at that one if you need any sort of directory. Nick: Wow, that sounds good. Karyn: Yep. And excellent support. I need to point out, if you’re ever using a plugin and you’re unhappy with the support because you can’t get answers back from the developers, just go find another plugin. There’s thousands of them, and you’ll find that it will be easy to find one where you’ll get an answer with 24 hours. Nick: Yep. You mentioned that premium plugin or paid plugins now often have better support I find, than the free plug in. Karyn: Can I give you one more? Nick: Yeah go for it. Karyn: Probably search engine optimization is one of the most puzzling topics for a small business person looking to get a website and everyone wants to be number one on Google right, because that’s where you get most of your business. I’m not entirely convinced that a SWEO plug-in answers all of the issues that you need to be looking at, but it does go part of the way. So, I’d have to recommend a plugin called All in one SEO and another one by a fellow who’s known quite widely on the internet, it’s called YOAST. So, check either of them out. I’m experimenting with them both on different sites and trying to monitor how it’s actually affecting my sites, search engine optimization. Nick: Great, great. I was actually about to mention Yoast myself. So, I’m glad we agree on that one. It’s for SEO that’s what I use on all my sites, SEO wise and it also gets a lot of good updates, frequently as new, Google stuff comes out, Yoast is in there, updating it and adding new functionality. So, he’s really on top of things, which is good. Karyn: And his website’s got a bunch of information about search. Nick: Yeah. He’s an SEO consultant as well, I think, as well as a developer and whatnot, so he’s a pretty handy guy. I’ll have a link in the show next to his stuff too. Nick: Great. Well, that brings us to the end of the interview. Thanks very much for coming on Karyn, it’s been great having you. Karyn: Yeah, thank you so much for having me and check out my WordPress Web design services. Nick: Yep, and where can people do that? Karyn: At my website, which is deign.massiveempire.me, as in m for mother e for egg. Nick: Right, right. I’ll have a link in the show notes for that as well. Great, and have a good weekend, Karyn. Nick: See yah. I hope everyone found that interview useful. We talked about the fact that WordPress is great because it’s really user friendly and really easy to use but even if you are going to get a website developed and have your developer take care of it for you, I would still recommend going with WordPress because it’s so flexible. It can grow with your business, as you get bigger and bigger. It can grow, it can be changed. The design can be changed really easily while still keeping your same content and you can move between different designers, different developers if they get out of business or if you’re going to move, if you’ve got to change you can easily switch over to different developers. It’s such a big community of people using it and we didn’t actually mention an interview with [Inaudible 00:26:22] That’s what Karyn does as well, managing WordPress websites ongoing for clients. So, definitely, think about that option if you’re getting a website developed as well. Also, if you’re interested in learning more about WordPress or even networking with people in Adelaide who also have WordPress websites and are interested in WordPress, there’s been recently a new group started up on Facebook, a Facebook group for WordPress people in Adelaide. Anyone interested in WordPress? I’ll have a link in the show notes, and there’s actually an event coming in about 2 weeks, about mid-November. There’s going to be someone coming down from Queensland presenting some information about WordPress. I’m not sure exactly what’s going to be in there but it should be a fun night anyway. It’s going to be at the Majoran Distillery, which is a recently opened co-working space in Adelaide. So, it should be a really grand event, and if you’re interested in WordPress at all then I suggest you come along, and I’ll see you next week.